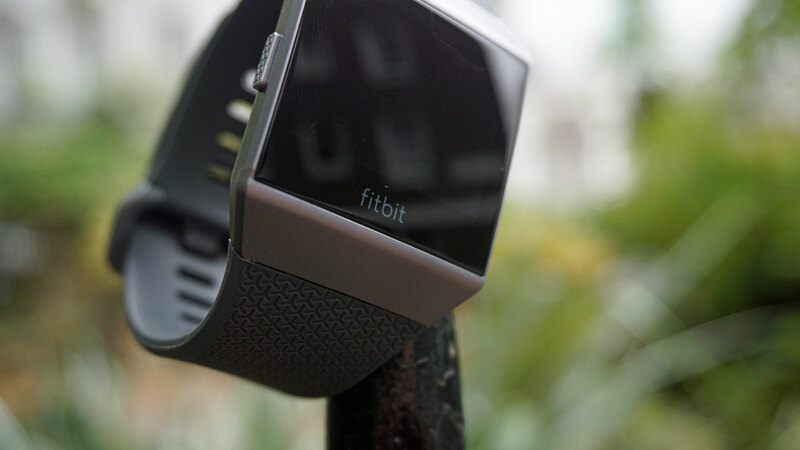 All of the fitness features we’ve come to know and love on other Fitbit products are here, and there are a few upgraded elements too. The Ionic features a heart rate tracker, which according to the company is even more accurate than on other Fitbits thanks to shiny new algorithms behind the scenes and a design that means it sits much closer to the skin. We found it worked much quicker than on previous Fitbit products, and in our testing we found it to be as accurate as other trackers and watches on the market. This is particularly useful for exercising, and Fitbit will use your heart rate for a lot of the information that’s displayed in its workouts app. 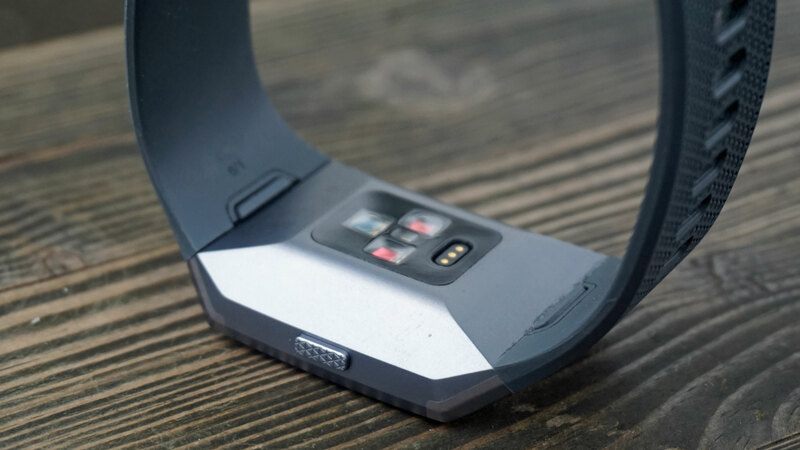 There’s built-in GPS here too, and Fitbit reckons your connection should be better than on the Fitbit Surge as the antenna bands are placed in optimal positions to ensure a better tracking connection. Connecting to GPS sometimes took a little longer than we’d have liked, but we never lost connection while running or walking. Being able to look through your data after you’ve been on a long run or ride is a big feature too. New features for running include an automatic pause option, which will notice when, for example, you’ve stopped to cross at some traffic lights and pause your workout, then restart when you begin exercising again. 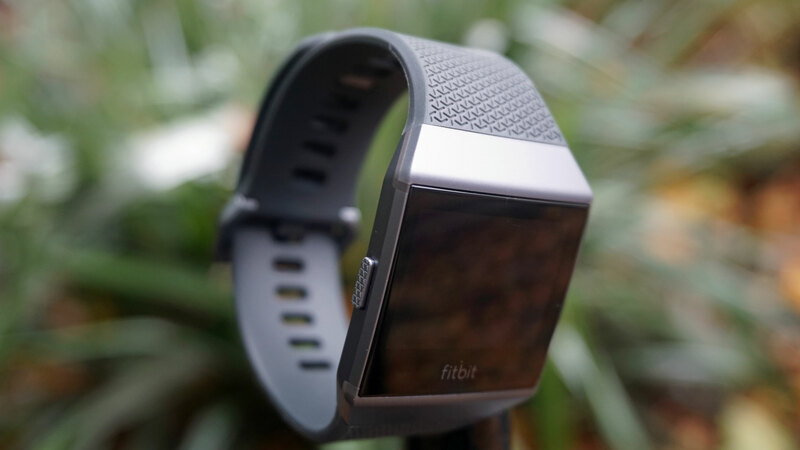 Fitbit has also included workouts in its Fitbit Coach feature that is accessible from the watch and will offer a similar service to the Fitstar app you can download on your phone. These are tailored workouts that will show you exactly what to do, and every time you complete one you can supply feedback so Fitbit Coach can work out whether you need something easier or harder next time. The aim here is to help you improve, and while it seems like quite a basic system it should encourage you to try different types of exercise. 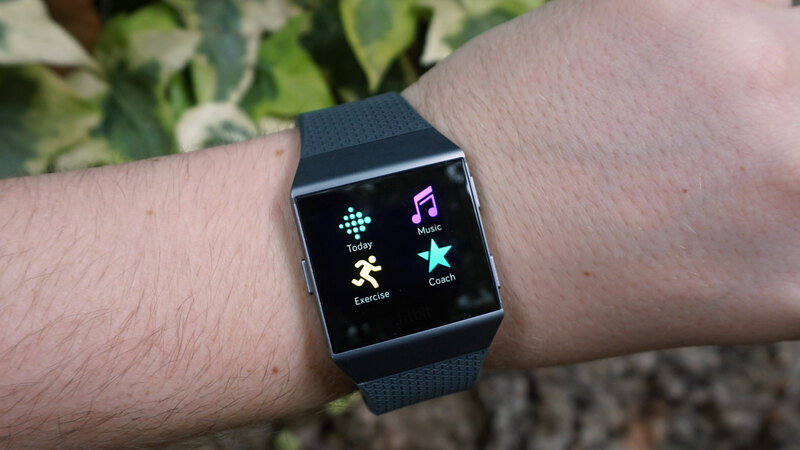 Fitbit plans to also bring audio workouts to the Ionic – and they can’t come soon enough, because it’s a big missing feature here. When trying out workouts within the Coach feature, we found ourselves rushed to get onto the next part. For example, it’ll start you off with 12 push-ups and give you a buzz on your wrist when you’re done, then tell you your next workout position and give you nine seconds to get ready. Without an audio cue, you have to look at your wrist, study the form of the workout and then be ready to start, all within nine seconds. When you’re sweating and gasping for breath, we often found this was nigh on impossible. Fitbit has also included an SpO2 sensor here to monitor blood oxygen levels, however, as of November 2018 the feature still hasn't been enabled, though the company claims to be working on it. We also now know the Fitbit Ionic is set to be a useful device for those with diabetes. If you pair the watch with a Dexcom G5 Mobile sensor (a specialist device that costs $900 (about £690, AU$1,120) it'll be able to display your glucose levels so you can monitor them. It's an interesting concept, and it could make the Fitbit Ionic a must-have device for those with diabetes. The Ionic has 5ATM water resistance (50m) and is easy to wear in the water and the sheer number of spacing holes on the strap mean it stays put even on smaller wrists. So you're all set for swimming. As with other sport specific features, how useful this is will depend on whether you're a serious swimmer or someone who takes a more casual approach to getting wet for general fitness. 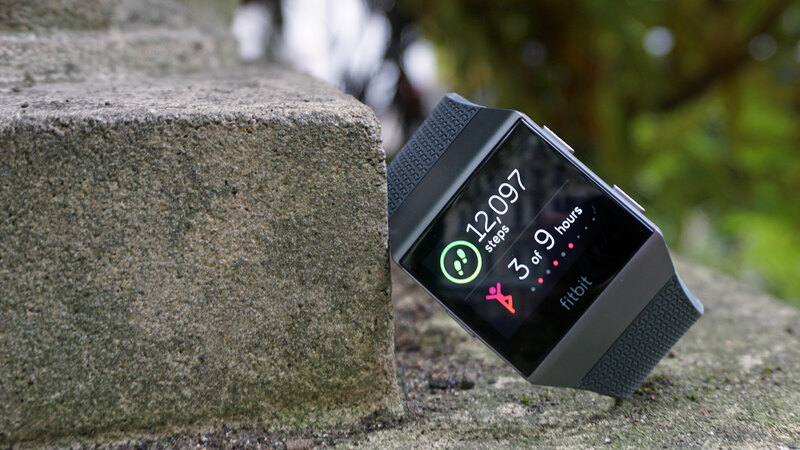 If you're the latter, then the Fitbit Ionic’s simple, easy-to-use interface and length, distance and pace tracking should prove more than sufficient for your tracking needs. The fact that the app shows your swim in terms of your overall daily fitness goals is also a nice touch. 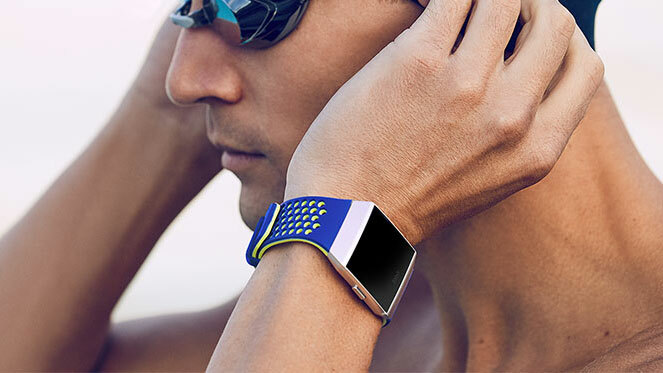 If, however, you’re a competitive swimmer then you’ll find Fitbit’s first smartwatch somewhat on the basic side and you might be better off with an alternative swimming watch. There’s no way to input drills – so a length of kick won’t register, for example – and because there’s no automatic stroke detection, changing stroke in the middle of a length can lead to data registering incorrectly. Swim tracking is self-explanatory; choose 'exercise' from the apps, swipe to swim (yes, swiping worked surprisingly well in the water) and go. It's easy to input the length of the pool, and the fact that the screen stays off unless you’ve set a cue – showing you distance, laps and time every 100m for example – is beneficial, as a flashing screen entering your eye line when you’re doing your best Phelps impression can prove distracting. The Ionic can automatically recognize different exercises, including swimming, so if you do forget to press go you’re sorted. When it come to accuracy, however, the Ionic swam into tricky waters. Despite inputting the pool length as 25m, we got readings of 8 lengths as 100m and 22 lengths as 450m instead of 550m. Though, Fitbit say that some inaccuracies may come from shorter swims, stopping to rest in the middle of the pool and stopping for more than 60 seconds at the end of a length (which we probably did when trying to work out why the 100m cue we’d set didn’t go off after four lengths). The exact internals of the Fitbit Ionic are a little unclear, and we don’t expect to know much about what’s running under the hood. In our testing, however, we found that the Fitbit Ionic user interface can be a little slow at loading. For example, setting up a workout can take quite a long time compared to other competing devices, and it can also be frustrating when you want to get accurate fitness readings. We haven’t found that apps crash while using it though. 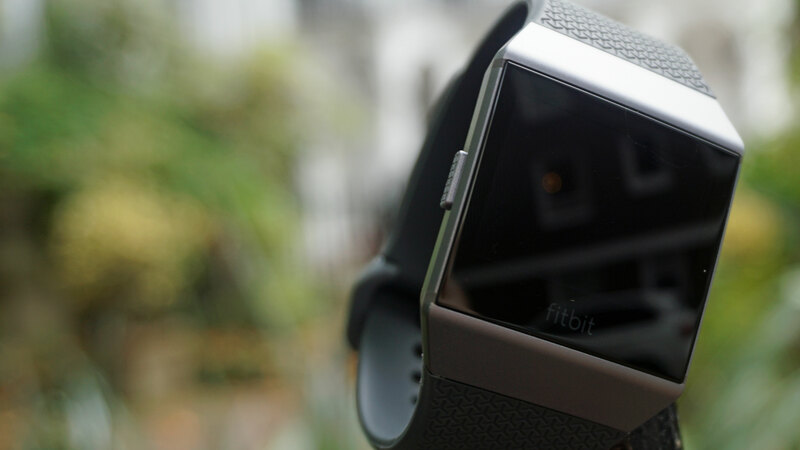 We found that the Fitbit Ionic’s battery lasted between four and five days with limited usage. If you’re going to be working out a lot with the watch it’ll be a lot less, and the battery gets hit especially hard when using GPS. Fitbit estimates it lasts for 10 hours of constant GPS tracking, and we think that’s about right – and it’s still around the same amount of time as your average running watch is able to last for. You can also upload music to the Fitbit Ionic, with 2.5GB of free space at your disposal. That’s not much, and will only allow for around 300 songs, but if you have particular audiobooks, podcasts or albums you're always going back to there should be space for some of them here. You can then connect Bluetooth headphones and listen to music on the go without having to take your phone on your run. We found the Bluetooth connection remained stable, but it’s irritating that you can’t integrate some of the most popular streaming services, such as Spotify or Apple Music, to download any music you want easily. In the US you can connect the watch with Pandora - something we haven't been able to test yet - and you can also connect it up around the world to your Deezer account too. We'll be sure to update this review when we get the opportunity to test the new feature. If you're not a subscriber to those services, you have to own the files and upload them manually using a computer. That all feels a touch too complicated, and it encouraged us to just take our phone out on the run instead. The Fitbit Ionic will work alongside the Fitbit app on your phone, which is compatible with most modern iOS and Android devices. 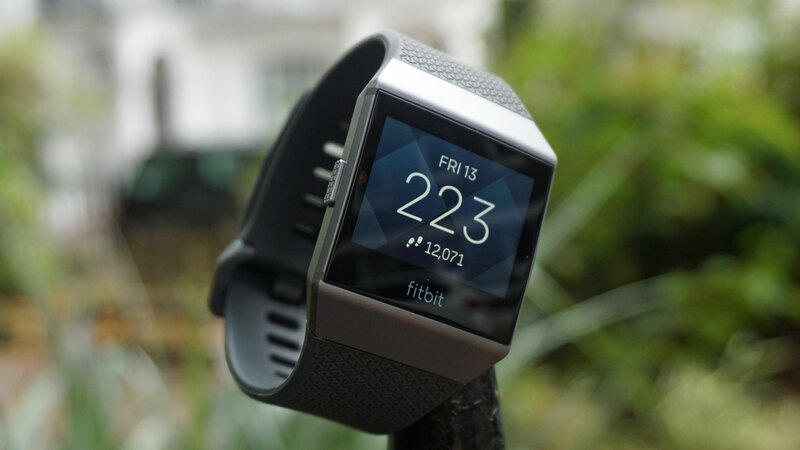 The Ionic comes with its own App Gallery – Fitbit is insistent this isn’t an app store – that includes Fitbit’s own services as well as third-party apps. So far we've seen third-party apps from Strava, Starbucks, Philips Hue, The New York Times, Flipboard, Yelp and more. It's still a limited set of apps compared to watchOS, Wear OS and even Tizen, but we hope to see the App Gallery expand further especially now the Fitbit Versa supports these too. At launch everything on the Ionic App Gallery was free, but there may be paid-for alternative apps at some stage in the future. You can also choose a variety of watch faces within the Fitbit app, and there are currently lots of good choices. We hope the selection will be expanded in the future though, as there still aren’t as many options as you can get on alternative wearables. Personalization isn’t possible here either – it would be nice to have the option to add different widgets to your prefered style of watch face. 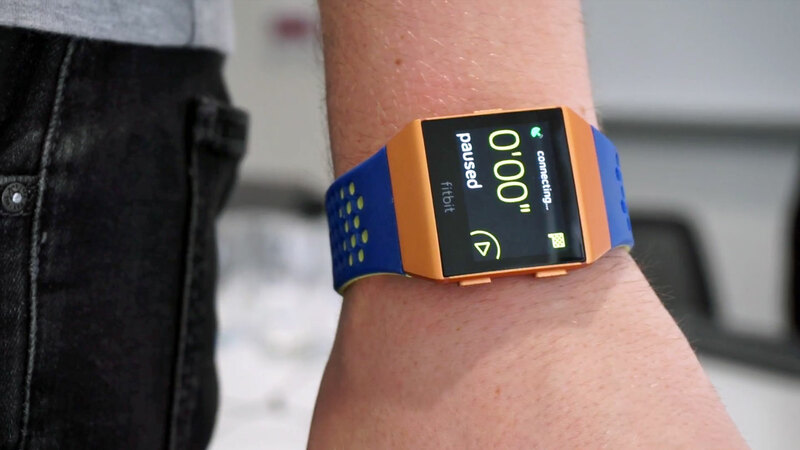 We have high hopes this will happen eventually, especially as it was a big focus for Pebble wearables in the past. 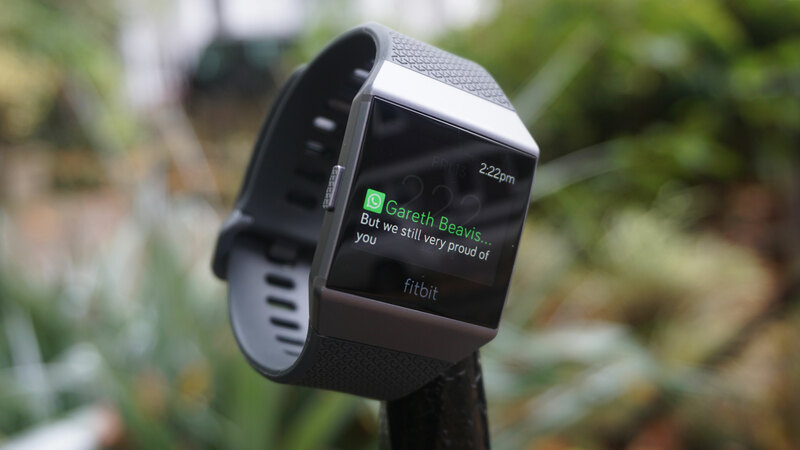 Fitbit has included mobile payments on the Ionic through its own service called – you guessed it - Fitbit Pay. This is based on tech from a company called Coin, which Fitbit bought a few years back, and will allow you to use NFC to pay on contactless terminals with your wrist. Fitbit is partnering with Visa, American Express and Mastercard for this, but you’ll need to make sure your bank is offering the service. You can do that here on the official Fitbit website. In our testing, we found the payment feature worked well but sometimes took a long time compared to some of the alternatives. You hold down the button on the right-hand side of the Ionic for a few seconds to make a payment, and you’ll then need to enter a PIN number that you’ve previously set up and place your Ionic near to the reader. 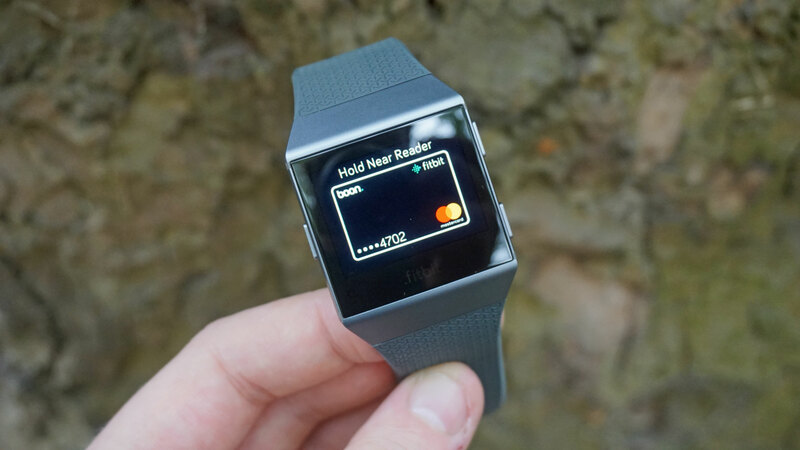 It’s a very similar experience to either Apple Pay on the Apple Watch or Android Pay on Android Wear devices, and it’s especially useful if you need to grab a bottle of water when you’ve gone running without your wallet or phone. It likely isn’t going to replace your wallet, but it’s a useful extra way of being able to make payments when you’re out exercising. Looking out for great savings on the Fitbit Ionic in Australia? Check out our sister site Getprice to compare prices! There are lots of positives, including strong battery life, Fitbit Pay and built-in GPS, but there’s also a lot missing, and that leaves this device feeling more like a fitness tracker, rather than a smartwatch in terms of features. 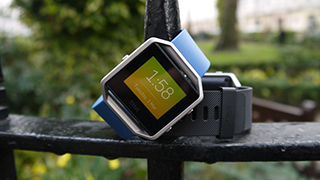 Controversial design is something Fitbit loves as well (remember the Fitbit Blaze?) and this isn’t going to be the most attractive device for everyone. 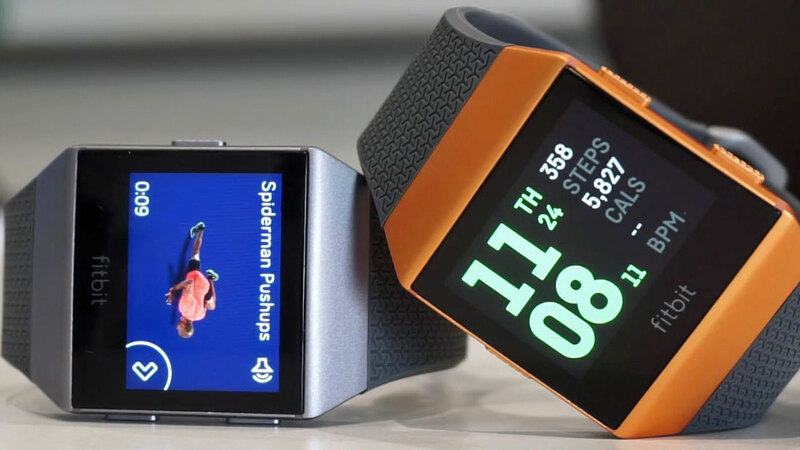 Fitbit has decided to bring a few smaller smartwatch features to a fitness tracker, so you’ve got the added benefits of things like Fitbit Pay, but they’re mostly useful in an exercise capacity – so if you’re looking for a fitness watch that goes the extra mile in terms of features, the Ionic could be for you. It’s also for you if you like the Fitbit brand and have previously used the app. If you’re looking for something a little more substantial than a Fitbit tracker on your wrist but you don’t want to switch to another platform, this will suit you well. Even if you fall into one of the categories above, however, it’s hard to recommend the Fitbit Ionic when there are so many great options out there for smart wristwear that offer better value. 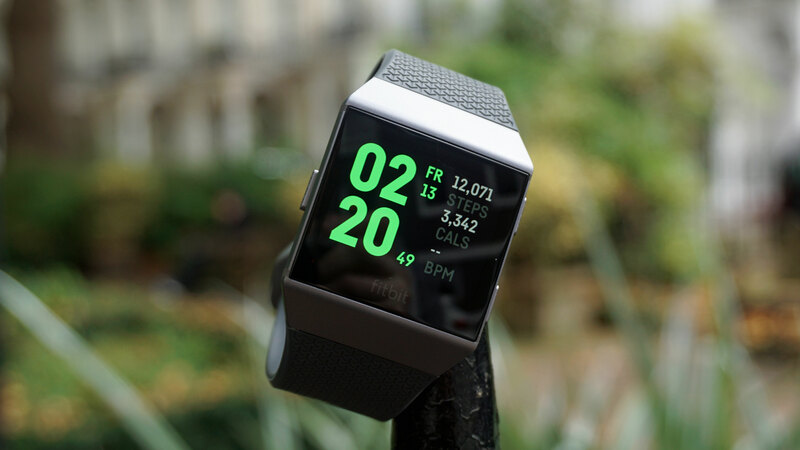 Fitbit has priced the Ionic at around the same level as the most premium Android Wear and Tizen choices and even in line with the Apple Watch 3 (though a little lower than the Apple Watch 4), all of which offer a nicer design and better features. If you really like the design of the Ionic, and think the fitness features on offer are worth the money, then this will be a good purchase for you, but there are lots of other smartwatches that we prefer. Here we're going to run you through some of the alternative watches you may want to buy instead of the Fitbit Ionic. 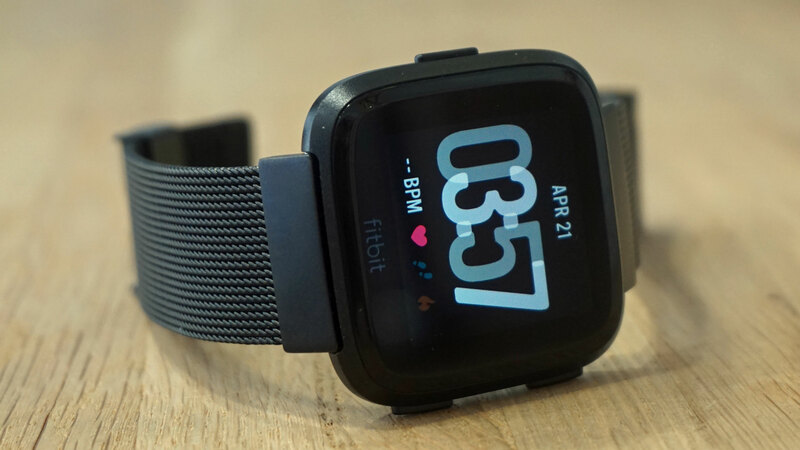 Coming almost six months after the Ionic, the Fitbit Versa has a lower price than this watch and comes with lots of the same features. 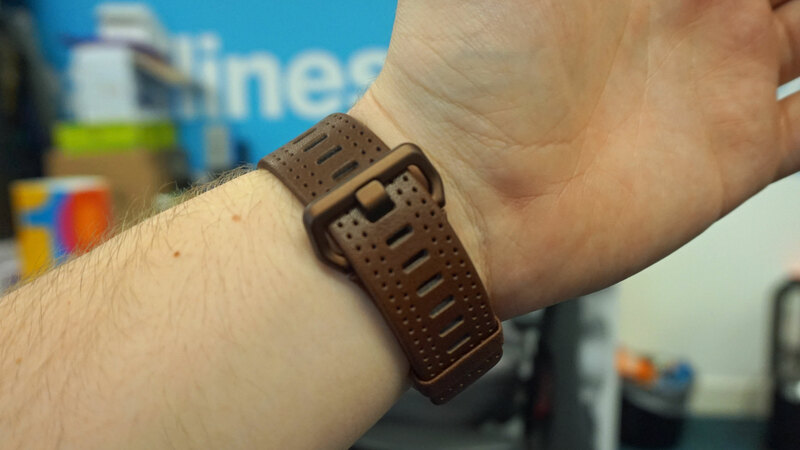 The design is a touch smaller, so if you don't want a behemoth taking over your wrist, the Versa may be made for you. The biggest difference is there's no GPS on the Fitbit Versa. That means you'll need to go running with your smartphone to be able to track your location by connecting your watch up and using the Connected GPS tech. 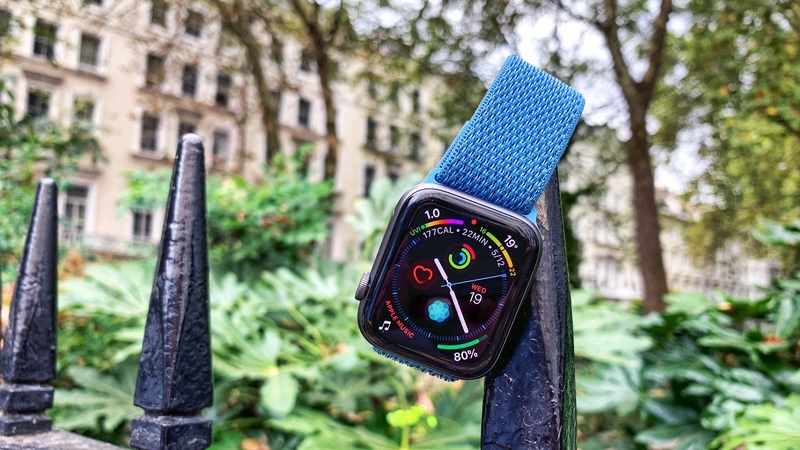 Apart from that, there's a lot to love from the Fitbit Versa and it may be worth you taking a look at our review before you dive into buying the Ionic. The latest wearable from Apple, the Watch 4 is its most accomplished smartwatch yet with LTE connectivity to allow you to use it truly without your phone. That's something the Fitbit Ionic can't offer either, so if you want to be able to go running without your phone and still receive phone calls you may want to opt for Apple's watch instead. The Apple Watch 3 is also worth considering and is more in line with the price of the Fitbit Ionic. 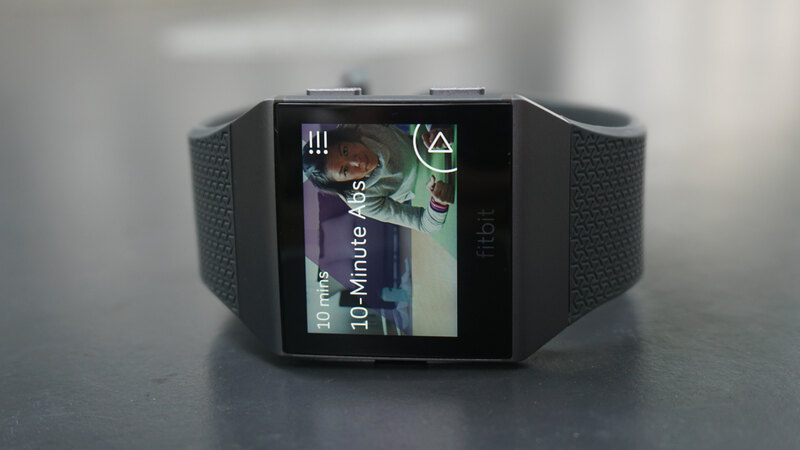 The Fitbit Blaze is much cheaper than the Ionic, but is a little more limited and isn't technically a smartwatch. It's a touch harder to find now it has been replaced in the official line up by the Fitbit Versa, but we've found it still on sale from third-party retailers. It's closer to a fitness tracker, but with a much lower price and a focus on fitness features it may be a good alternative to the Ionic for you. 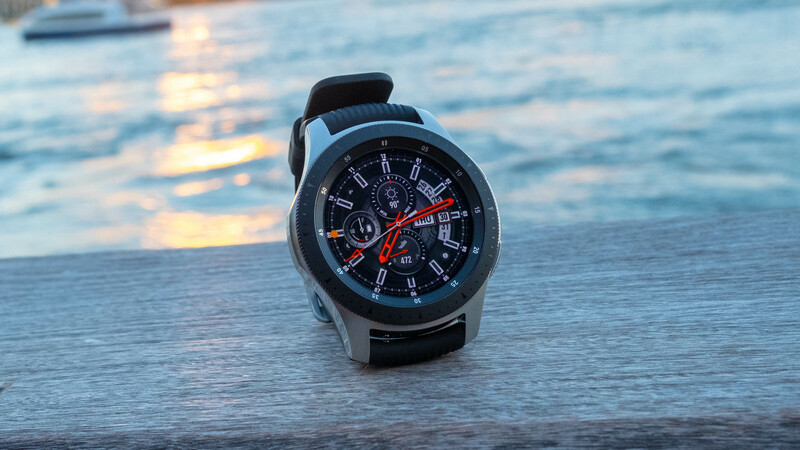 Samsung has a lot of experience making smartwatches now and the Samsung Galaxy Watch is arguably its best device yet. We gave it four stars when we reviewed it citing a great design, long battery life and strong software as the key highlights. There are some issues such as a lack of apps - something the Ionic suffers from too - but that's something that's improving all of the time.